Nothing quite beats the great outdoors, but if you’re a nature lover, there are plenty of ways to create a calming and natural vibe inside your own home. Bringing the outdoors indoors is all about color, texture, lighting, and material. A few key items and design choices can go a long way, even if you can’t afford a full renovation. Try these tips and tricks from Furniture Fair to create a natural look that’ll make you excited to spend time inside. 1. Lean into a neutral color palette. The first step toward natural décor is keeping the color scheme muted throughout. This will help create a nice flow as one room opens into the next. But it doesn’t mean you have to live in an entirely beige abode; instead, mix things up with a variety of calming earth tones, like moss, slate, a pop of robin’s egg blue—anything found in nature is fair game. This Fusion Whitaker Sofa is a good piece to build around; its clean lines will keep your space fresh and timeless. 2. Add lots of greenery. Adding splashes of foliage to your home—whether real or faux or a blend of both—is an easy, instantaneous way of creating a natural vibe. Mix sizes, species, shapes, and colors to get the full effect. This silk Fall Oak Tree can create a lush New England vibe in any climate, and pairs nicely with this Black Olive Tree. 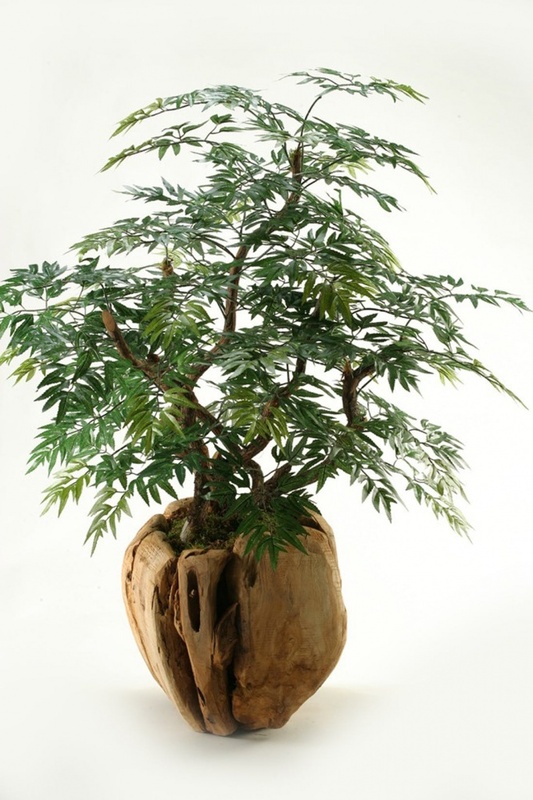 Up the ante by choosing planters made of natural materials, like this Ming Aralia Bonsai in Root Ball. 3. Select furniture made of wood and other natural materials. To maximize the natural look, skip artificial materials like metal and plastic and avoid colorful finishes and paint jobs when selecting furniture. Instead, opt for natural, pieces like this Sedgwick Dual Storage Bed, which evokes a country feel with its rustic, maple grain. 4. Hang photos and paintings of scenes from nature. In a perfect world, you’d look out any window and see a real live scene from nature—trees against a bright blue sky, a gentle river flowing, maybe a misty mountain range. 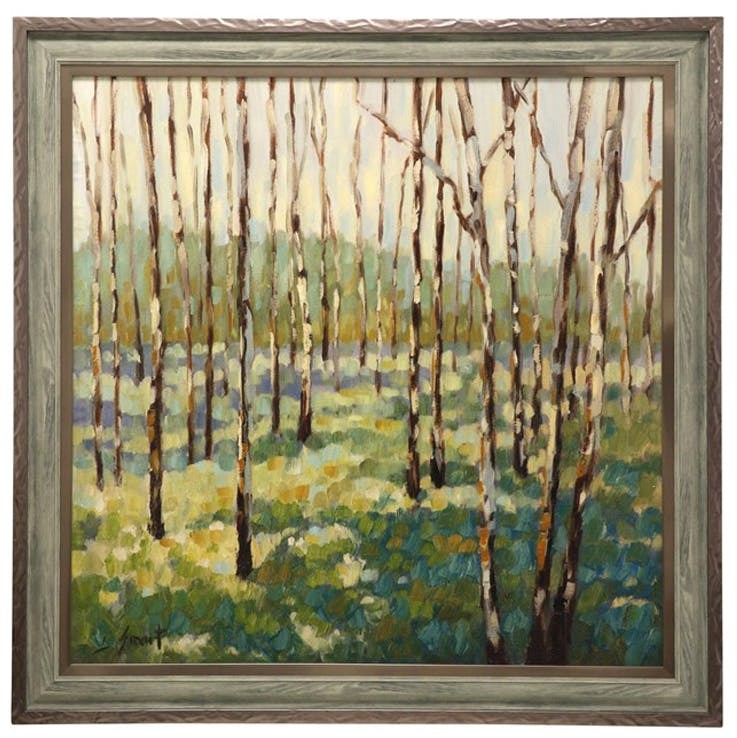 If you’re not so lucky (and few of us are), don’t fear: to keep you feeling at one with the outdoors, just seek out a few paintings and photos of natural scenes to hang up around the house. Try this soothing Low Country Fall print with its weathered finish evoking the forest, or this Agathis Botanical Print for a more detail-oriented take on plant life. 5. Take things up a notch with earthy décor. Your au naturel decorating scheme doesn’t have to end with furniture and wall art. Spruce up bland corners with tabletop décor like this understated but playful Pair of Shore Birds or these Ashlea Wooden Sculpturesmade of natural mango wood logs. Flesh out the theme with a few DIY additions: place natural stones in a mason jar, branches in a vase, or a collection of crystals on a mantle or bookshelf. 6. Invest in outdoor furniture. Nothing’s more natural than actually being outside. If you have a yard, a porch, or a patio, make the most of it by creating an outdoor living space for relaxing and entertaining. 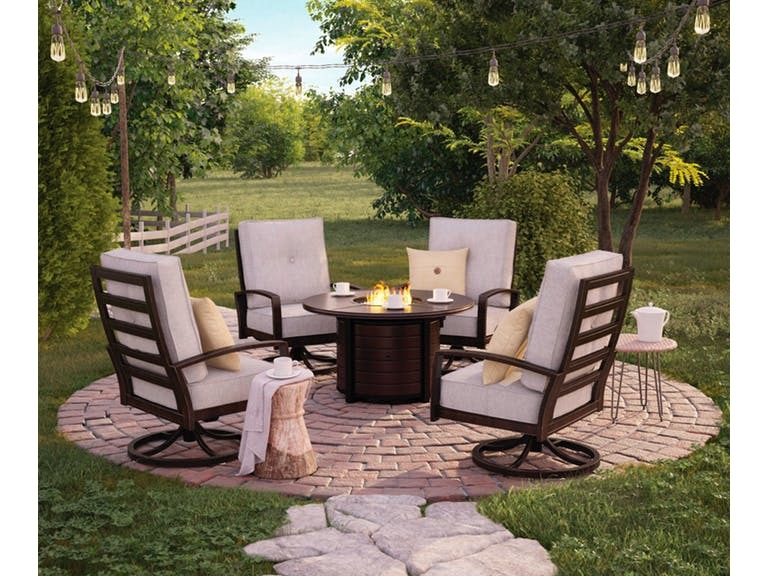 This Castle Island Fire Pit Set is an all-in-one solution, including a fire pit table for cool evenings and four cozy swivel chairs. Just add a few strings of fairy lights and a couple of potted plants and you’ve got the ultimate outdoor living room. Make the most of natural sunlight by keeping windows clear of furniture or other blockages, and forgoing heavy drapes in favor of light, gauzy curtains, or window treatments that will let in light. 8. Use lamps to create a warm glow. If your home doesn’t get much natural light, or if you want to keep things glowing after the sun goes down, opt for a series of well-placed lamps instead of harsh overhead lights. Lamps like this Summerland Table Lamp from Crestview are perfect for brightening up dark corners without adding too much bulk. 9. Accessorize with natural organic textiles. Blankets, comforters, throws, and accent pillows made out of soft, organic textiles are a great way to complete the natural look—while adding a pleasant degree of hygge to your home. Play with natural neutrals by pairing this sophisticated Hush Comforter Set featuring hand cut floral appliqué with a few Celia Indigo Pillows and this Bree Charcoal and Grey Throw. Then, sit back and relax! The post How to give your home a natural look appeared first on Style & Flair Blog by Furniture Fair.